Debra Reed Polencheck, age 35 of Cottage Grove, passed away unexpectedly by suicide on January 17th, 2019. Visitation will be 4-7 pm, Sunday, January 27, 2019 at Kok Funeral Home, 7676 - 80th Street S. as well as one hour prior to service at The Church of St. Rita. Mass of Christian Burial will be at 11 am on Monday, January 28, 2019, located at 8694 - 80th Street S., Cottage Grove, MN. Interment Cottage Grove Cemetery. Debra Reed Polencheck was born December 29th, 1983 in St. Paul, MN. She grew up in Cottage Grove, MN and graduated from Park High School as an honor roll student in 2001. She graduated with a contemporary business associates degree in 2005 from Inver Hills Community College and a Dental Hygiene associates degree in 2009 from Normandale Community College. She worked as a dental hygienist for the past 8 years with her most recent position at Lindgren Dental Care in Cottage Grove. Deb loved her job and the people she worked with. Deb married Joseph Polencheck on August 28th, 2010, shortly there after they bought their home in Cottage Grove, MN where they have raised their cats, Taraji, Boeden, Sammi, Pinkerbelle, Faeren, Garrus, Remmi, and Negan. Anybody who knew Deb knows that she loved and spoiled her cats like they were her children. Deb was an intelligent caring person with a great sense of humor who loved to make others happy. She was a joy to be around with her bright fun loving, easy going personality that brought so much light into the world around her. She was beautiful inside and out, and was loved by so many people that knew her. 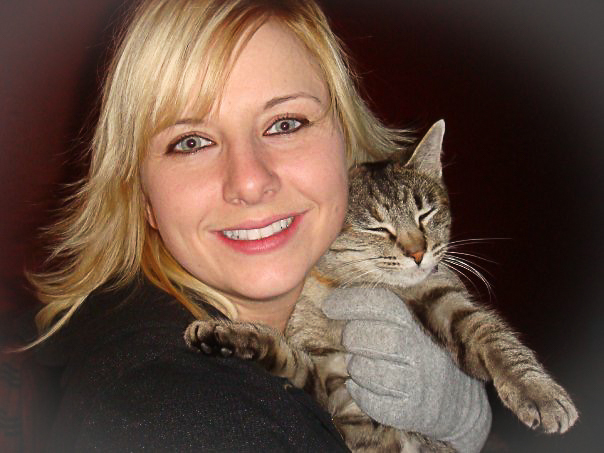 Deb’s life revolved around her friends, family, work, and her cats. She loved doing things outdoors, traveling, fishing, kayaking, gardening, boating, camping, hiking, biking, escape rooms, dressing up for Halloween, taking Pinkerbelle on walks in the cat stroller, and spending time with her friends and family. Deb is preceded by her father, Greg Reed. She is survived by mother, Patricia Reed, sister and brother in-law, Julie Reed and Todd Sullivan, brother Bill Reed, her husband, Joseph Polencheck, step children Xavier and Alex. Along with many other family members and friends who loved her dearly. Its unbearable to think of the pain Deb was going through the moment she took her life. In that dark moment, she was unable to see the love around her. Our hearts are broken, and life will never be the same without her. Friends and family are encouraged to bring a photo with Deb to the visitation on Sunday to be combined with photos that will be placed in her casket for burial.